A cat water fountain glazed in Aubergine with a saucer, or platter pump cover. 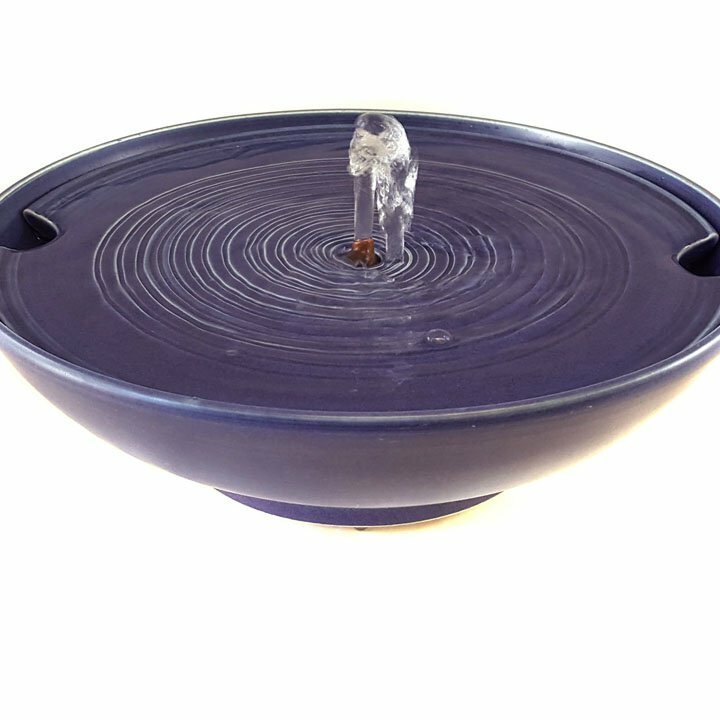 Excellent for longhair cats, for cats who like to splash about in their water bowl – can’t in this fountain – and cats who like to sip from a surface. All our cat water fountains come with everything you need but you can add any of our cat taps if you wish a stream as well, and easily swap it in and out with the straight copper spout. All are antimicrobial. This fountain can take any of the copper Waterleaf, the Cat Taps and the Serenity Flow for which see those listings. 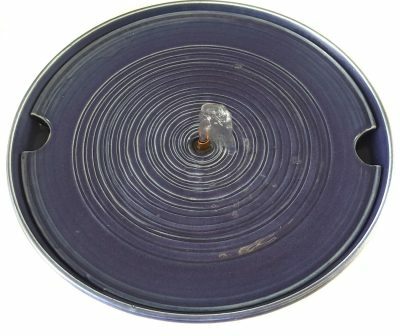 * 3.75 inches high and 11 inches in diameter.